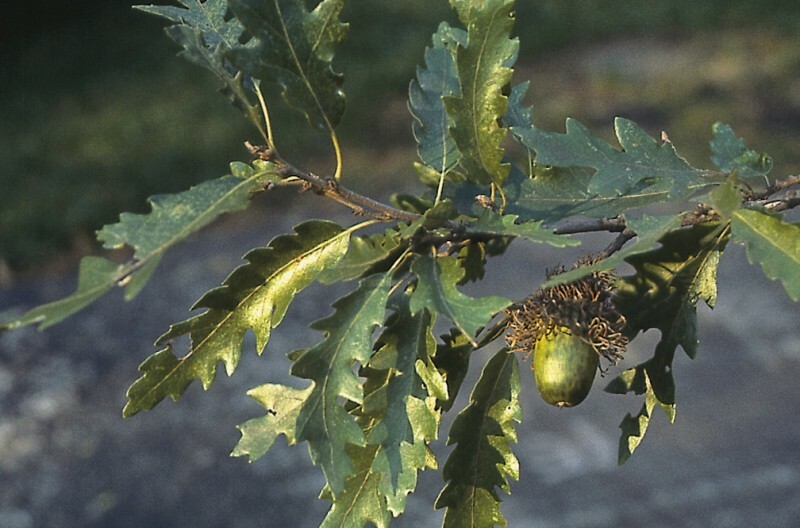 The Turkey Oak is fast growing, spreading, deciduous tree which has shiny robust leaves, which turn yellow in autumn. The acorns are up to 4cm long and the cups covered in shaggy scales. Quercus cerris has a trunk develops into a craggy fissured bark. It thrives on most soils from light to heavy and even does well near the coast, though not as the first line of defence.